this phone is only for calls.. 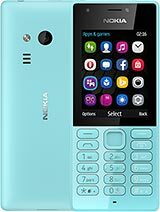 I tried downloading some themes which only nokia can support, but this doesn't support any theme... I am not able to rotate the images in the phone n also there is no grid view for media... camera quality is good as it is a 2mp. No inbuilt pictures... it has a torch but it is a very tiny one..
overall experience of Nokia 225 phone is not that great... I do not suggest to buy this phone.. Feedback to Nokia is not getting eliminated on the screen and it is causing nuisance hindering large space on the screen.Even after giving the feedback 10 times and getting the acknowledgement from Nokia it is not getting disappeared.Many times I have switched the mobile off, but it is appearing again and again.Please give a solution to this. it have no msg storage,no security options for messages and memorycad.low lighting display.slow performance,some times memoycard ans sim cads are deactivated. pierre Maclarry, 19 Dec 2014honestly its just 3days after bought the phone now I want to return it because it cant save mu... moreHi I've just put in SIM from old phone and only 5 SMS are showing - and not the newest 5! Did you have this problem? How can i change the memory location from phone to memory card ??? I do not find any option for tat !!! And my music player has stopped working. Does anyone have any idea?